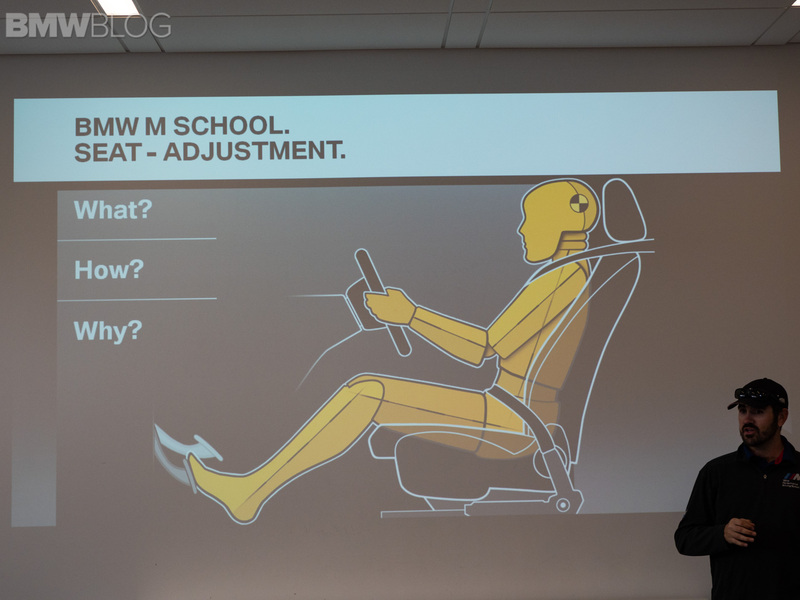 In 2014, BMW announced their second permanent BMW Performance Driving School in the United States which was later opened in April 2015. The location chosen – the exclusive and picturesque Thermal Club in Palm Springs, California. 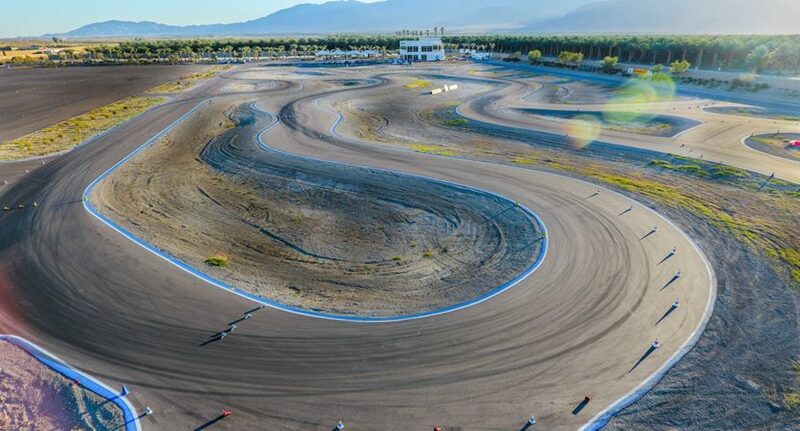 The private race track is just three hours away from Los Angeles and right by where one of the world’s biggest music festivals takes place in the Coachella Valley, and near Indian Wells. 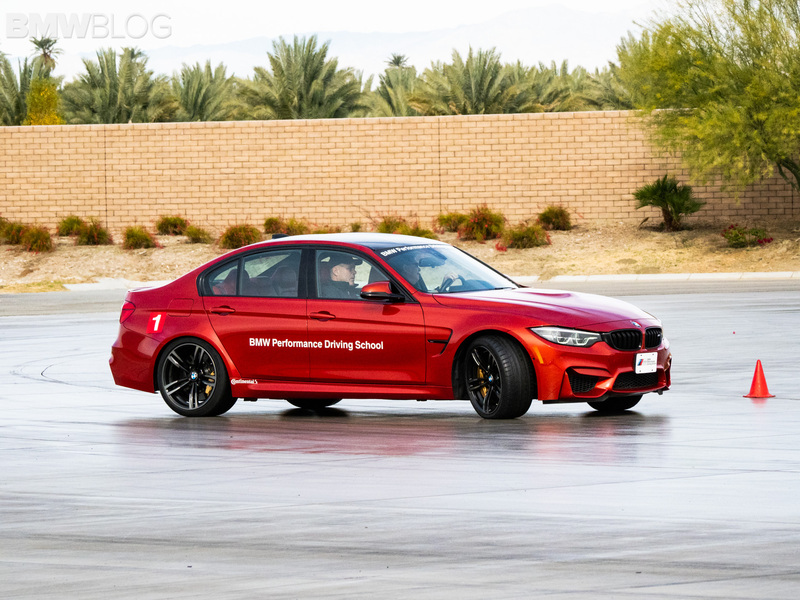 BMW has their own dedicated 40 acres where they built a new track and facility, including a 1.4 mile course, skid pad as well as a building for classrooms. The race track has been designed by the same architect who created the BMW Performance Center Race track in Greer, South Carolina. There are three tracks at the Thermal Club with a combined length of 5.1 miles. 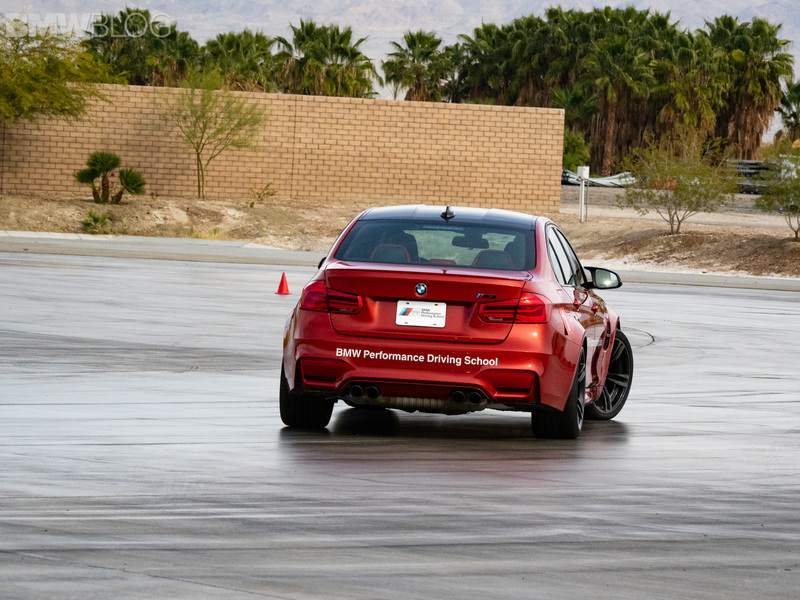 BMW of North America chose to open a driving school on the West coast since the area caters to one of the world’s largest car markets. Just as with the Spartanburg Driving School, the Thermal Club offers BMW and MINI (MINI is not in Greer) Schools, such as a one or two-day Teen Driving School where young students get to learn, among many others, panic braking, skid pad control, emergency lane change and car handling. There is also a 1- and 2-Day Car Control which will go through similar exercises as the teen school, and more. 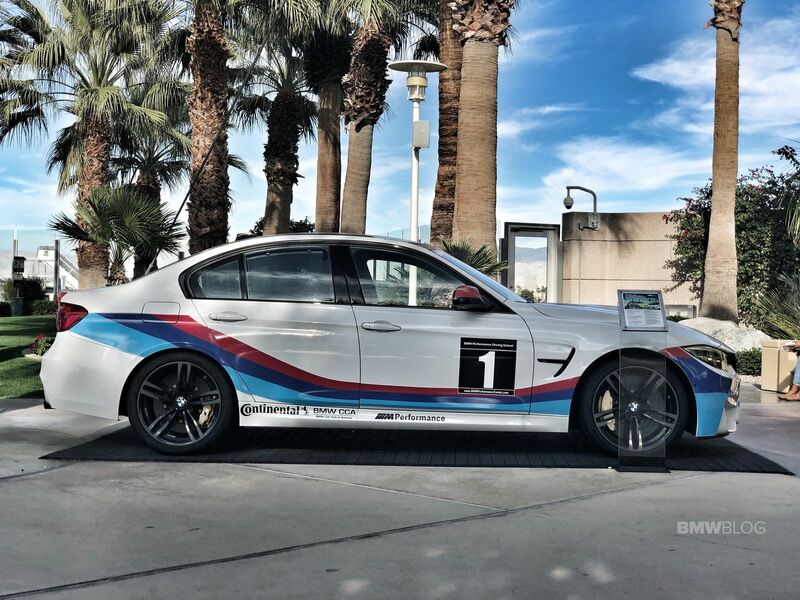 For more experienced drivers, or for those that would like to get behind some of the most exciting M cars, the folks in Palm Springs deliver one or two-day M Schools. If you’re feeling even more adventurous, the Advanced M School provides a professional level road course experience. BMW says that even private driving sessions are offered, so if you’re like to hone in your driving skills one-on-one with a BMW Driving Instructor, the Thermal Club facility can accommodate that as well. Corporations are also welcome in Palm Springs and upon request, customizable driving events or retreats can be setup. 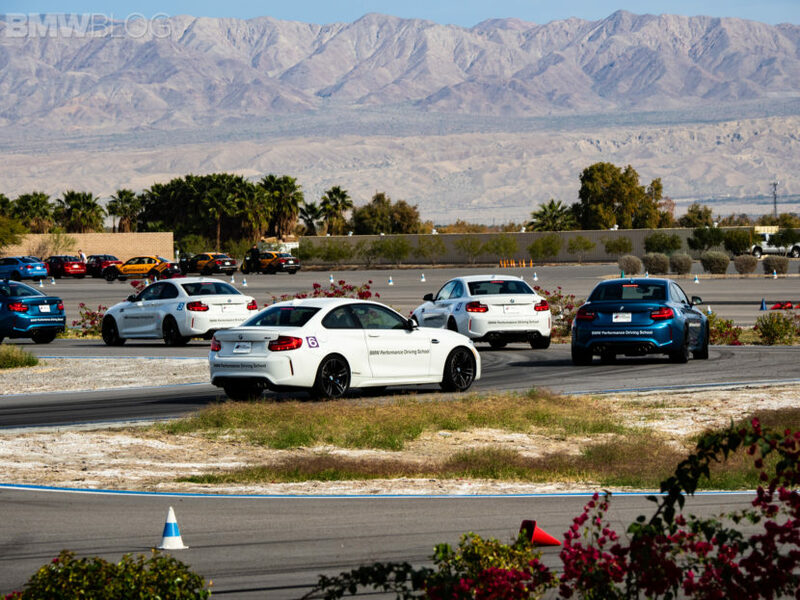 If money is an issue or if you’d like to just get a taste of high-performance driving, a two-hour BMW Driving Experience class is available as well. When it comes to some of the differences between the West and East Coast BMW Driving Schools, a few things immediately stand out. The long-standing Greenville-based BMW Driving School also caters to motorcycle owners through a variety of classes, as well as offering an off-road course with the latest BMW X SAVs. In Palm Springs, performance driving is mostly the name of the game, so in order to experience that, BMW has asked me to head west for a one-day experience in their M School. Over the last decade, I was fortunate to have participated in a variety of M program at the South Carolina location, so overall, I was familiar with the program. 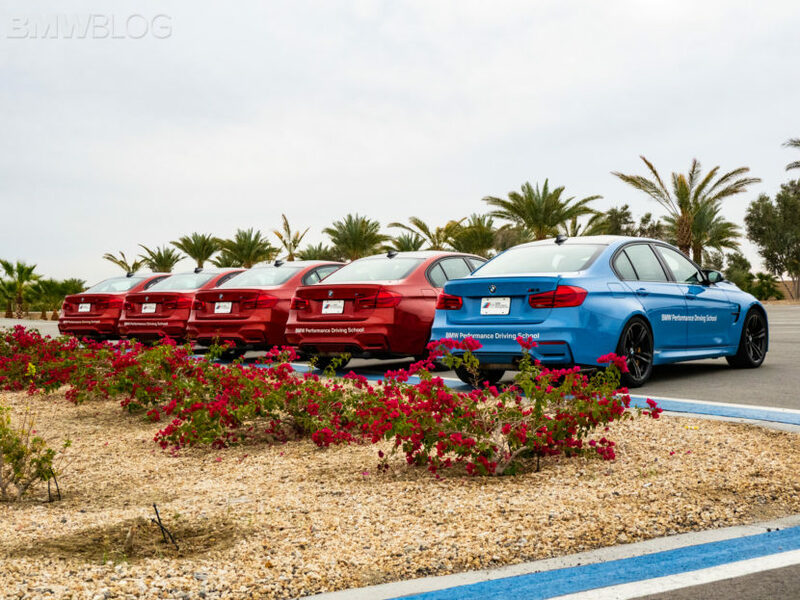 Since its opening in 2014, BMW has also hosted a series of driving events and car launches at Thermal Club, where I had the chance to fully experience the different tracks. 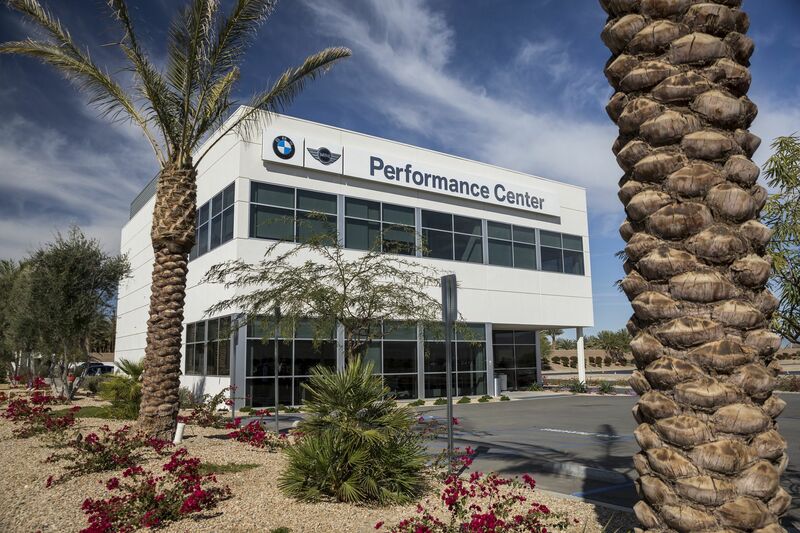 To learn more about the school, you can visit the BMW Performance Schools website. But it’s December 21st and instead of the dreadful and stressful late Christmas shopping (Thank God for gift cards), I’ve decided to spend a couple of days tracking some of the best cars in the BMW portfolio. As soon as you land in the open space Palm Springs International Airport, you’re greeted by a beautiful mountain backdrop and by the typical Californian palms. 80F weather makes me even happier since Chicago is starting its usual winter ritual. There is also an F80 M3 showcar right inside the airport which promotes the BMW Driving School. Paid customers of the Two-Day and Advanced M Schools also receive a two-night stay at the beautiful Hilton Miramonte Resort and Spa where meals are complimentary, including dinner at the hotel on the arrival night, breakfast both days and a gourmet track-side dinner after their first day of driving. There is also a shuttle that runs to and from the hotel which is always a nice touch. After a good night sleep, I was ready to unveil my early Christmas gift. 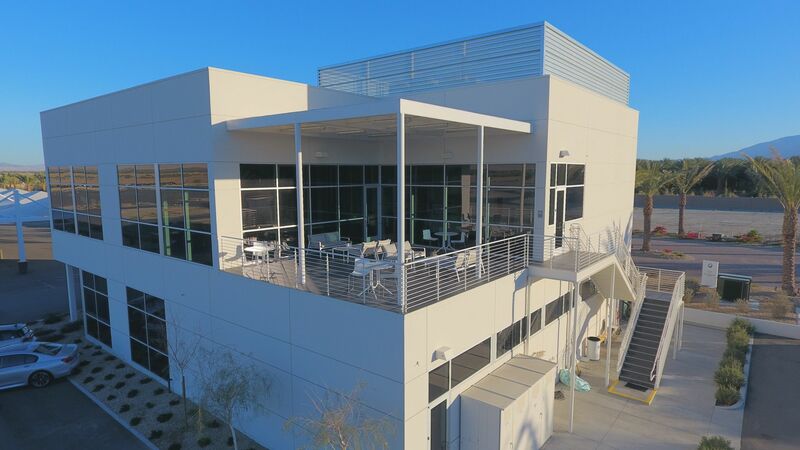 As soon as we pull into Thermal Club, I’m greeted by an excellent facility which has been often rated as one of the best private car clubs in the United States. 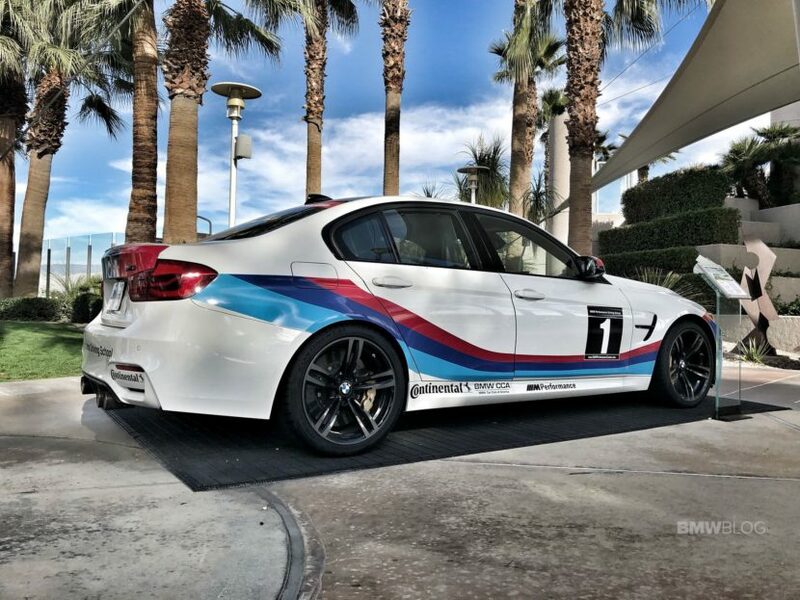 The BMW building immediately stands out with its cube form and inviting design, and of course, it’s surrounded by a large fleet of M and M Performance cars. According to BMW, there are over 100 cars in the school’s fleet (BMW and MINI), ranging from the M2 Coupe to the M3 and M4, and a wide range of M Performance Automobiles – M240i, X3 M40i, X4 M40i, M760i and M550i. The new F90 M5 and the M2 Competition are yet to join the fleet, but they will be part of the school car lineup in the future. Refreshments and snacks are offered inside the facility, so you can fuel up before you head out onto the track. The morning starts with an hour long briefing and instructional class which goes over some essential things to prepare you for a successful day. The team of instructors there led by Adam Seaman are not only extremely professional and knowledgeable, but also experienced in the art of racing. In the informative session you get to learn about the proper seat position and adjustments, steering technique, emergency braking, ideal racing line, car control with understeering and oversteering, and other emergency situations that you could encounter in your daily driving as well. The classes are small, 6 participants per group for a total of 18 for One Day M people, which gives you the opportunity to spend a lot of time behind the wheel. My group will start the morning with the skid pad exercise aboard the F80 M3 Sedan equipped with Continental performance tires. The sports sedan was set with full power, and traction control (DSC) off. 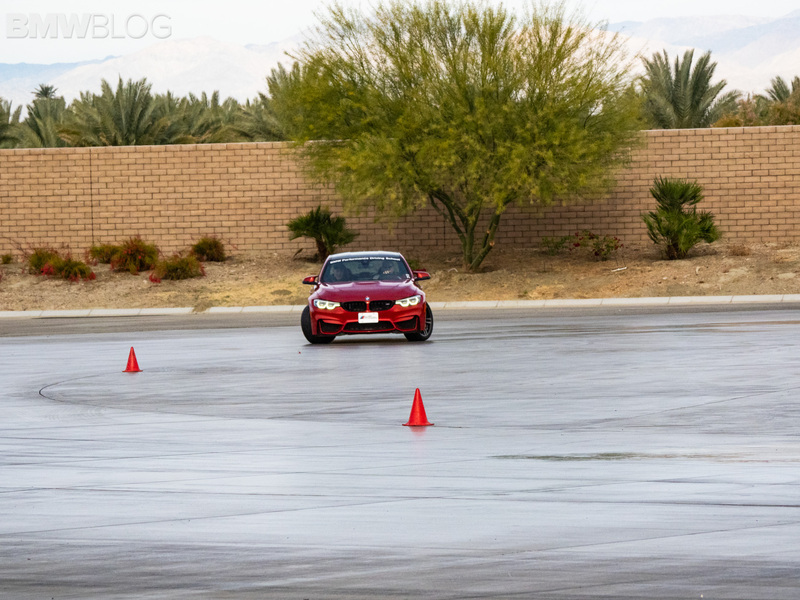 According to BMW Driving Instructor Dave McMillan, the objective here is to induce understeer and oversteer, and learn how to quickly correct. CPR is a term you will hear a lot during this exercise, which stands for Correct, Pause, Recover. Once you floor the gas pedal, the front tires start to lose grip which makes it harder for you to steer the car, so to control the drift, and keep the car moving in the intended direction, you need to countersteer, and apply throttle as needed. During the exercise, the eye-hand coordination is more important than ever, so it will take a few tries to get it right. 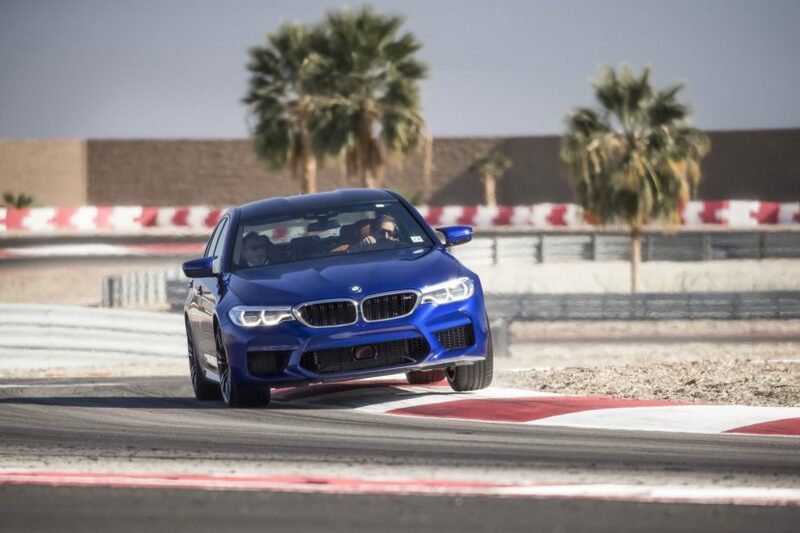 There were plenty of us that sent the M3s in a fast 360 degree spin – including yours truly – but it’s all done in a safe and controlled environment that will test your braking and steering skills. There is also an instructor by your side at all times for guidance. 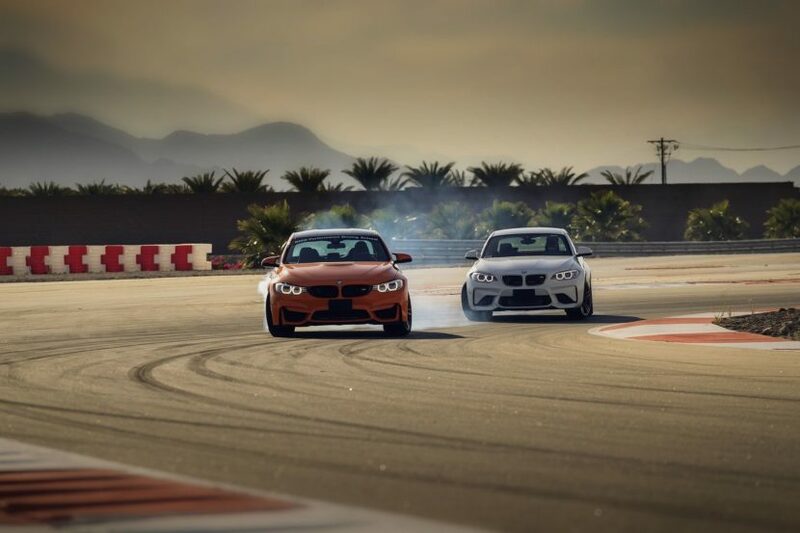 Once you master this, the instructor will let you perform some drifting slides around the well polished pavement which are, without a doubt, everyone’s favorite. 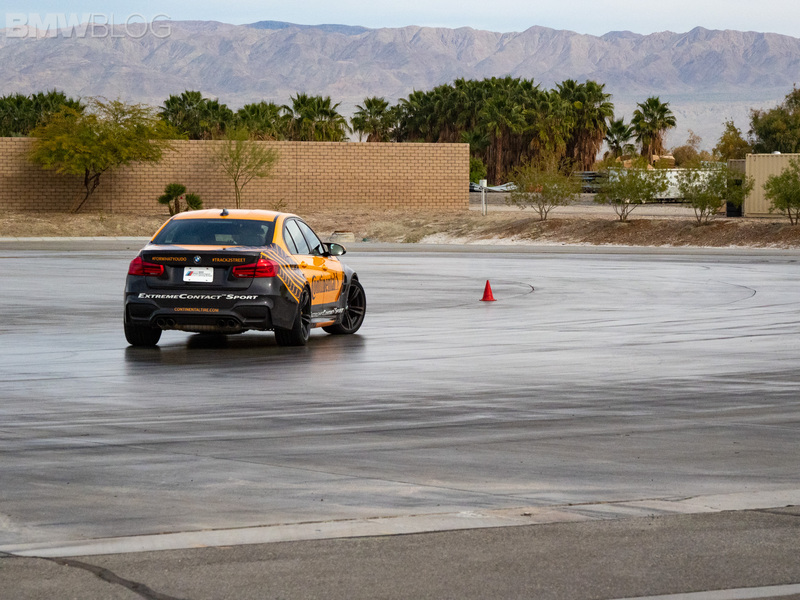 You will, of course, get some ride time with a BMW instructor who will properly indicate the technique and give you tips to be successful in this skid pad exercise. Those of you that live in snowy areas you will appreciate the lessons learned here since not many of us ever have the chance to learn the proper way to maintain control of your car and recover on slick surfaces. It also serves as a great lesson for daily driving where unforeseen situations require a quick response and fined tuned driving skills. It is by far the most challenging exercise, physically and mentally as well, but an hour later I and my colleagues have a better understanding of what it takes to do CPR. We now head back to the main BMW building for a much needed water break before the next exercise. The second event is geared towards improving your track handling by applying proper racing techniques. For that, we jump into the F82 M4 fleet and head over to the shorter autocross course which starts at the beginning of a long straight. Our instructor takes three of us at a time in his car for a walk through. The purpose of this handling event is to learn acceleration and braking points, apexes, turn-ins and of course, the vision across the track. After a few laps at various speeds, the BMW Driving Instructor is ready to let us try the autocross on our own. He positions himself at the end of the long straight with a radio in hand providing real time feedback on your driving. The first step in the exercise is to learn to fully trust the car by applying emergency braking at the start of a designated cone. After you master this step, you move onto the next with a sequence of braking, acceleration into the corner, vision, turn-in, apex and full speed out of the corner. You’ll be doing this for at least 30 minutes and with each lap you’re bound to get better at handling the M4, and faster. It’s now almost lunch time, but there is room for one more driving event. 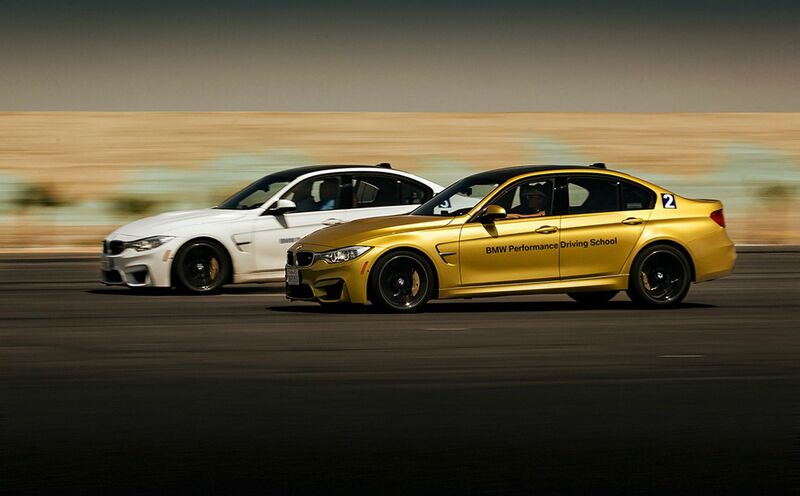 We swap the M4s for the super fun M2 Coupes and it’s now time for a full autocross exercise. Our group is getting the usual lead-follow approach where we ride on the track turn by turn, followed by a faster ride with the instructor. The laps are fairly short – less than 40 seconds – and once again, the instructor will provide feedback over the radio. There are four cars at a time on the track and the slower cars sometimes go into the pit stop to offer more breathing room. This exercise will prepare you for the next event – a timed autocross with a symbolic prize and bragging rights. After a great catered lunch and some good conversations with the BMW staff and participants, it was now time to for the second half of our program. We go back into the M4 Coupes and we’re getting the go-ahead on a longer track with lots of S-turns and a couple straight lines where we get to test our newly acquired skills. After the initial reconnaissance laps, two of our BMW driving instructors – Adam Seaman and Chris Hill – take their spots on the track where they can observe your driving and provide feedback. 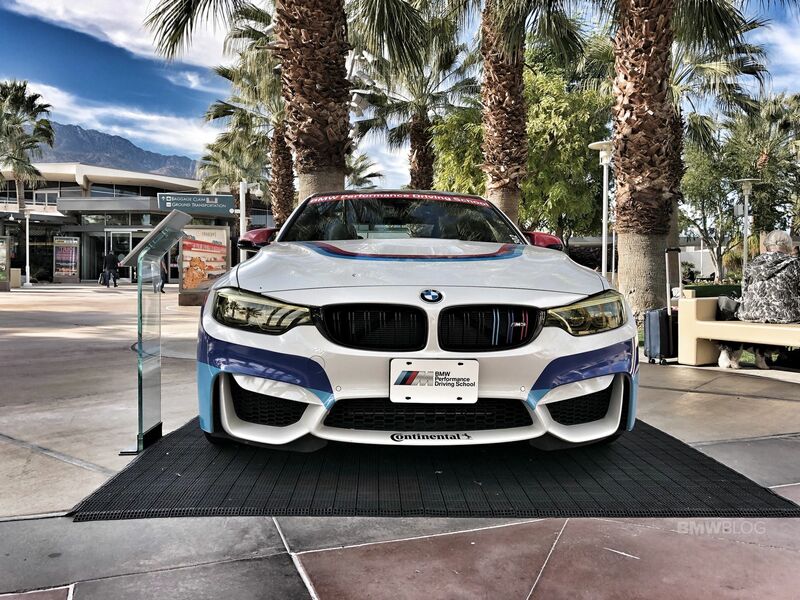 Being in the powerful M4 equipped with the great carbon ceramic brakes, you can now push the cars to higher speed limits and execute some late braking, if needed. The idea here is to take everything you’ve learned so far and immediately apply it on the track, which is exactly what you’d want from a driving school. Same as with the other exercises, you will get better with each lap and eventually feel confident to push the car more than you thought you would at the beginning of the day. Having driving instructors provide real time coaching is even more valuable. A quick break after the M4 runs and we’re going back to the previous shorter autocross course where now we get to actually compete against each other. Two M2s on the track with a finish line consisting of a stopping box where your M2 needs to land in to avoid a 2 seconds penalty. 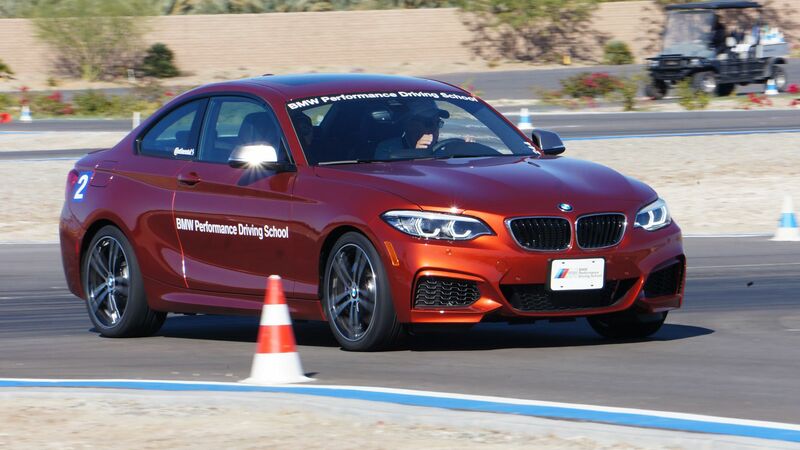 Being a very technical course with lots of sharp and tight turns, the M2’s size and power will favor the drivers with smooth inputs and proper braking technique. You can run the car in either MDM or DSC off. Other tips to have a successful run is to get a quick start and to start braking EXACTLY at the indicated cone. This is extremely important since it matters how much speed you have entering the box without exceeding the penalty line. In a group of six and after six times laps (plus two warm-up runs), my scorecard showed the second fastest lap which, admittedly, hurt my ego a bit. But I had one more chance at redemption. 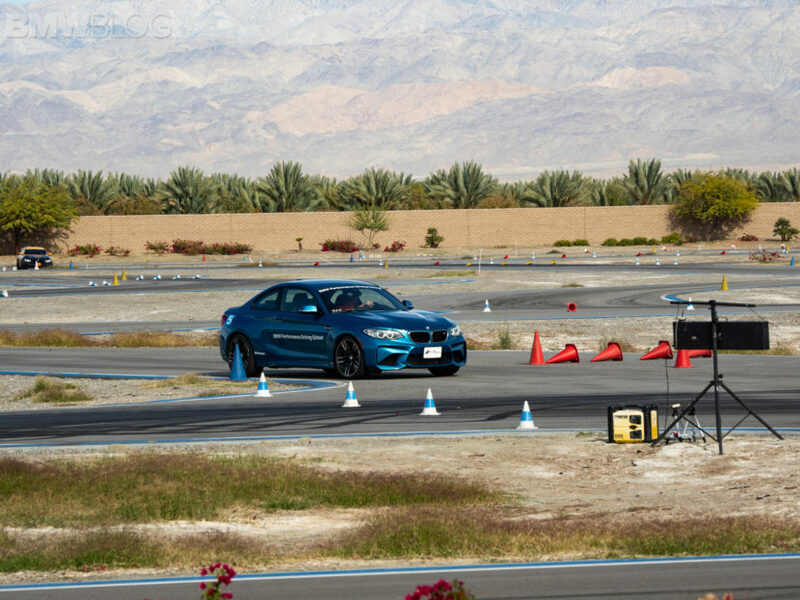 We’re back on the skid pad with the F80 M3s sedan where the BMW instructors have setup a football shaped course for the famous “Rat Race.” If you’ve never done one, here are the basics. Two cars at the time around the oval, on opposite sides facing a common start and finish line. The idea here is to pass the start/finish line on the opposite side before the other driver, and after 3 laps, you need to be in the lead. The winner stays at the table and gets ready for the next opponent. There are a few other basic rules – DSC has to be off so you can properly drift around the corners and you can’t go inside the cones, that will draw a two car lengths penalty. You’re getting a few practice runs along with one provided by the instructor and then off you go. The first race is always rough on the edges, it takes time to perfect the drift but once you get the hang of it, all you have to do is to maintain that pace. The lessons learned from the first skid pad exercise of the day comes in play here and could either make you or break you, figuratively speaking. After losing both of my practice runs to a fairly quick driver, I managed to pull the upset and came in first. Ego restored and grand prize acquired – a rat toy. This concluded the one day M School program and at the end of the session, there were a lot of smiles, high fives and fortunately, no damaged cars. Only egos. Many would assume that these schools are primarily targeting men, but according to our instructors, a large number of women go through the driving programs and rave about the experience. In our class, there were several couples that came together to have a fun day in the desert. The driving programs range from $299 for the 2-Hour Driving Experience, $1,550 for the one-day M School and $3,599-$3,999 for the two-day M School. The Advanced M School pricing varies – usually above $4,500 – and requires participants to call ahead for verification of their qualifications, which could be the graduation of the one-day M School as well as other driving experiences. 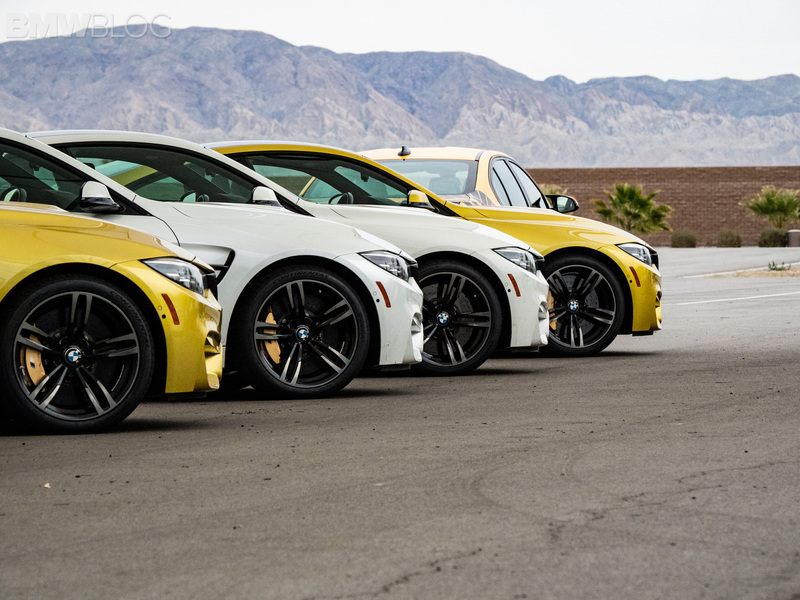 There is also a BMW Track Meet Event which includes three driving sessions aboard M cars – for half a day – and it’s priced at $499. The pricing for Teen Driver’s School starts at $849 for the one-day school and $1,699 for the two-day school. 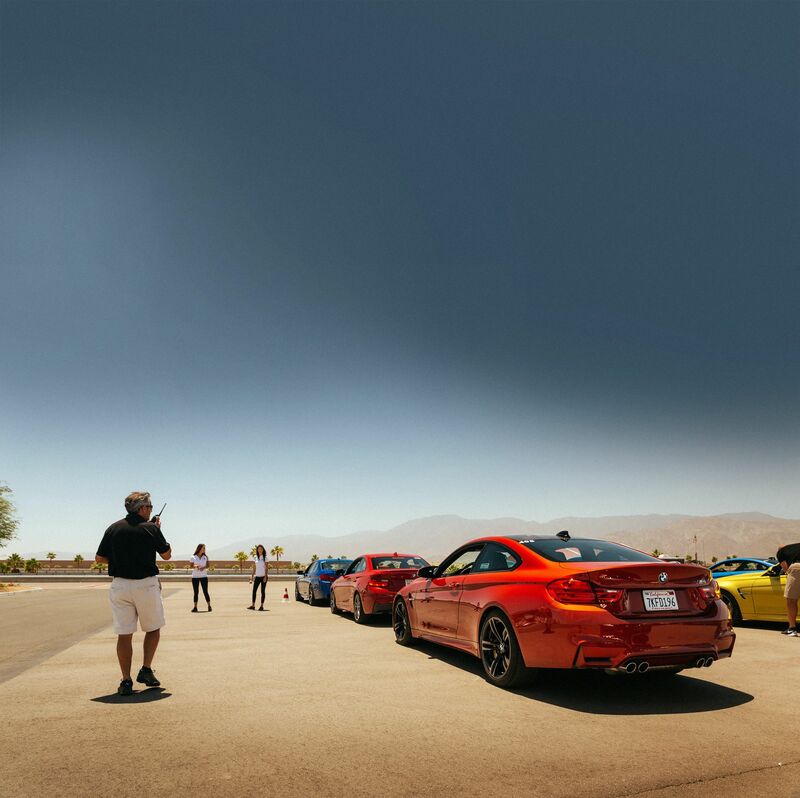 I’ve said in the past as well after attending the other BMW M Schools on the East Coast – those programs are not only a great way to reward yourself, but could also be the perfect birthday, or even Christmas gift, to your loved ones. 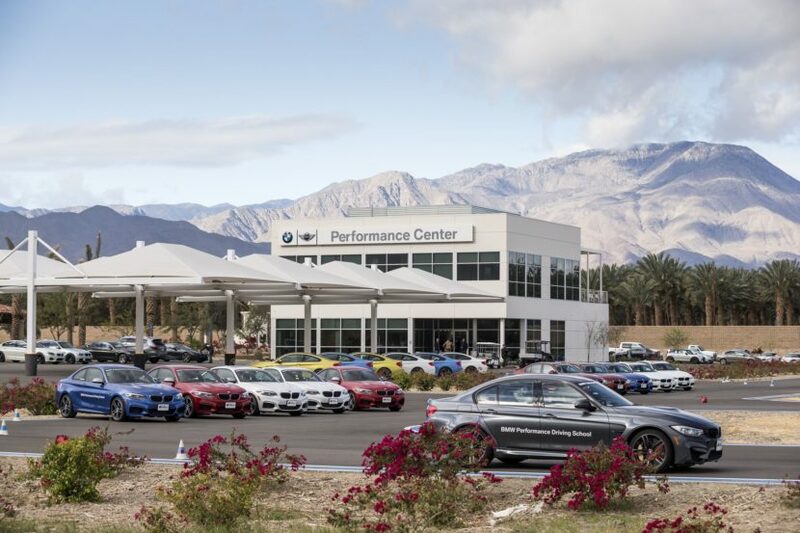 The BMW Thermal Club facility offers a unique experience with a beautiful scenery, some friendly and professional driving instructors, and of course, some fantastic performance cars that you can drive like you stole them. And if you’re looking for a fun trip with your friends and your loved ones, look no further than Palm Springs. The Californian city offers some of the best golf courses in the world, amazing resorts, picturesque hiking treks and the natural beauty of the nearby Joshua National Tree Park. Of course, the ///M Power is the icing on the cake. For more information on the school, click here.